We provide IGNOU solved Assignment B.A, BDP,B.COM, M.A, M.COM, ETC, fully solved .Latest Assignment 2018-19 for jun-july exam (soft copy in PDF).Based on New Syllabus and Question Pattern with Answers. You can get it within few minutes anywhere in the World. 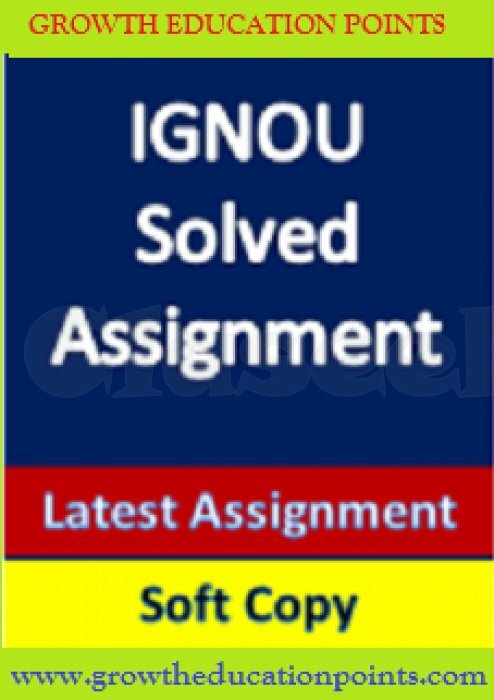 Download Ignou solved Assignment 2018-19 INSTANTLY, For More enquiry contact us @9582489391, 8809484815,We are providing All Over India. Current session 2018-2019 in Hindi and English medium.